Instability can be classified as traumatic or chronic in nature. Traumatic instability ranges from severe dislocation to subtle hip subluxation (hip joint sliding out of place, but immediately re-establishing correct anatomical positioning). Traumatic instability most often occurs from motor vehicle accidents and extreme athletic events. 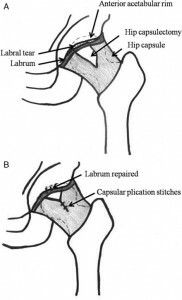 These injuries often cause damage to the femoral head, labrum and cartilage, along with the formation of loose bodies. Chronic instability may arise from congenital or developmental variants, as well as overuse of the hip joint. Once a patient has failed conservative measures, including physical therapy, surgery may be considered to correct their hips condition. Hip arthroscopy is capable of addressing causes of hip instability, as well as any damage after a traumatic instability event. 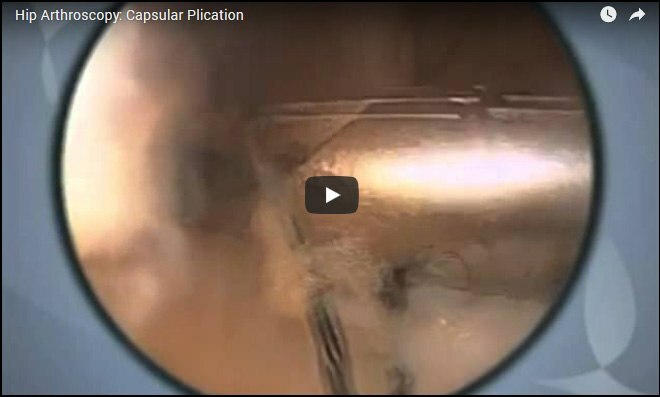 The hip capsule and ligaments surrounding the joint can be tightened arthroscopically to give the hip greater stability, known as a capsular plication. 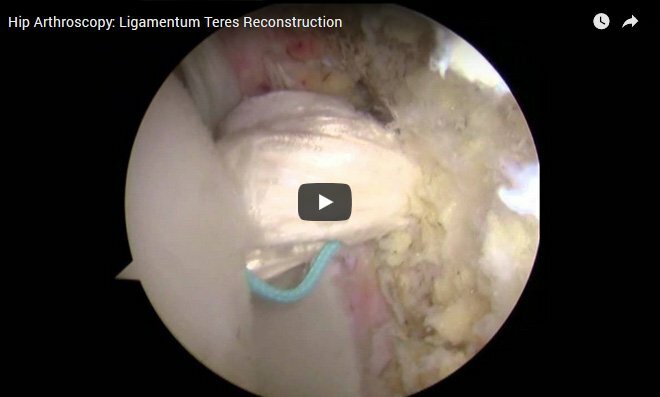 This involves suturing the ligaments around the joint arthroscopically in order to give the hip greater stability.